You just knew it was going to be a fun newsletter in October! Spooky news awaits those brave enough to enter! Pre-Alpha 4 is on the horizon which is great news to those in the Pre-Alpha testing group but also for all of us who can’t wait for Pantheon to be released (and hey, there WILL be streams of the new Pre-Alpha content)! The devs are busy putting the finishing touches on the next build which will introduce us all to Faerthale! Other great news is that Visionary Realms is hiring. Make sure you check out the Newsletter to see if you or anyone you know meets the requirements. Now, on with the rest of the Newsletter already! Harvesting Update! Yes, harvesting is discussed in some great detail this month! We learn about the concepts behind how harvesting will be done and why. 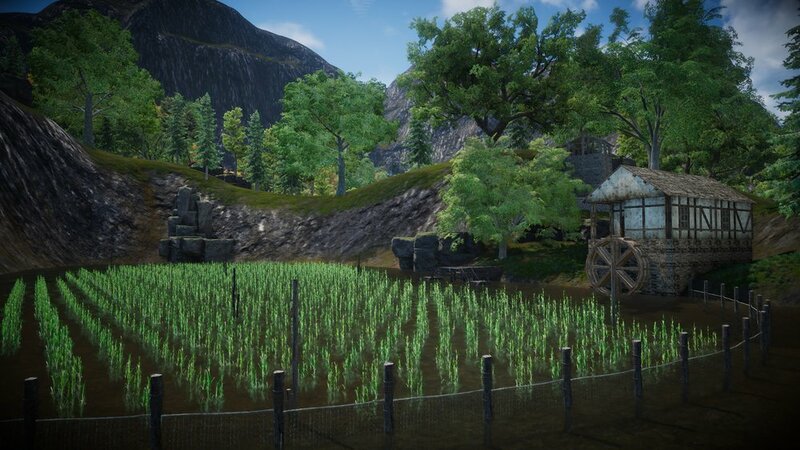 It looks like there will be plenty to do for players in the world with these various harvesting methods..
Part of harvesting are the new concepts of Salvaging and Scavenging. These are explained in some additional detail in the newsletter.. Simply put, scavenging is finding things, and salvaging is breaking things. That’s overly simplistic though, so let’s touch on a few points for each. What Halloween, er I mean October newsletter would be complete without some spooky content?! 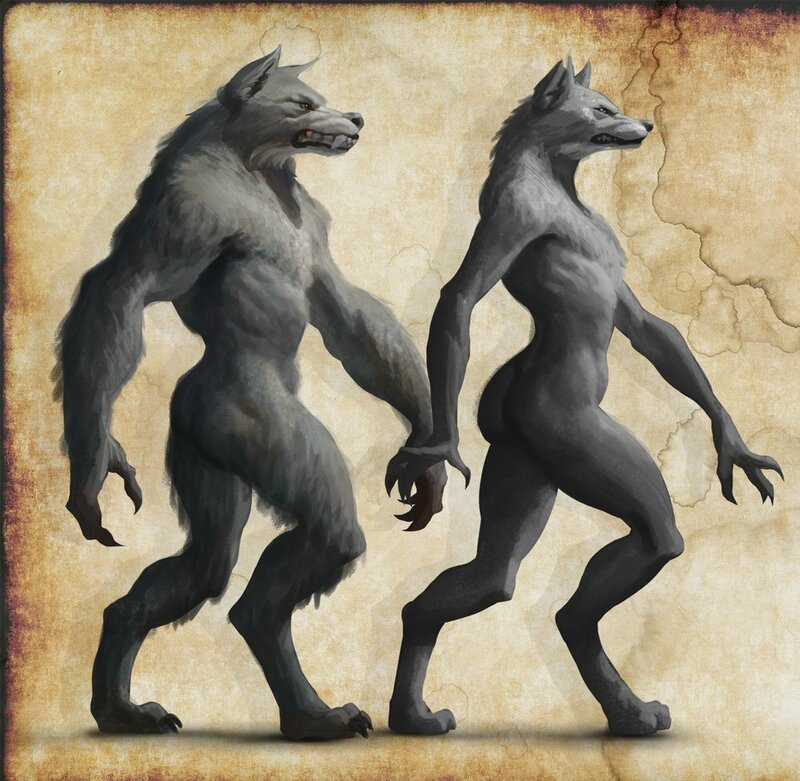 Pantheon delivers with a Rogues Gallery article on none other than Lycanthropes (aka Werewolves!).. Here we learn of the deep roots of how these wretched beings came to be and how they are hated by the people of Terminus. Who knew that werewolves were just a subset of Lycanthropes? Today, Lycandrell, Nightwolves (and the subsequent, less intelligent werewolf) all have similarly poor reputation amongst most people groups. They are hated and hunted, most often due to the vile deeds of the Nightwolves and animalistic morality of werewolves. Yet the hardness of Lycandrell hearts toward common mortals has not given fearful outsiders a reason to treat each lineage of Lycanthrope as distinct from one another. A wolf is a wolf. This has created a survivalist mindset in all Lycanthrope, which suits their reclusive preferences and has kept Lycandrell encounters to a minimum. Lastly, we are treated to some Under Wraps content! (save the juicy stuff for last of course!). We get a summary of the previously stated efforts around class development up to level 40 but we also got an interesting tidbit regarding the Summoner class and pets.. The past month of September the team has continued work on Faerthale, class implementation up to level 40 and several development tools. Earlier this week we finished up another review of the Summoner and its connected pet system. We had identified a potential implementation challenge with the design and born from the search of a resolution was a new idea that is both relatively easy to implement and makes the Summoner’s relationship with their pets even cooler. This expanded into general design philosophy and efforts which happen daily around each class and the associated spells and abilities specific to that class. I always knew that it was a difficult balancing act and it’s present big-time in Pantheon’s development. This sort of thing has happened routinely throughout production but it has seemed to be particularly present during this past month while we’re implementing all 12 classes with a more complete spell and ability arsenal. These tweaks and adjustments are exciting but are still very much subject to close scrutiny. How will this affect other classes? How can this ability be abused? Is this spell needed? Will the player be more or less desired in a group? Will they be able to solo effectively when they desire? Every attempt is made to be thorough when we are plotting out the classes but inevitably we won’t fully understand its implication until we get it in front of QA and even more so once the pre-alpha testers give it a go.. So there you have it folks! October’s newsletter is out and we have a month of discussion about what was revealed to look forward to! This halloween season, enjoy your pumpkin spice drinks and be careful on October 31. The night roads will be packed with little future Pantheon players!